this week we are celebrating two birthdays, school Christmas parties, work holiday parties and family Christmas celebrations. with all that partying going on i have introduced a couple of new items to my routine to help me glow and go on the run. we all know the key to beautiful makeup is beautiful skin. you can cover skin discoloration, pimples and fine lines, but how about eliminating them as a problem? one item that will help your skin feel healthier and look vital is the Conair True Glow Sonic Cleansing Brush. at only half the cost of other sonic skincare brushes and just as effective, the True Glow Sonic Cleansing Brush will get your skin clean. with three speeds and operating at up to 300 oscillations/second it will expertly extract dirt and makeup from your pores to prevent future breakout. use it in the sink or in the shower, there are attachments for both face and body. 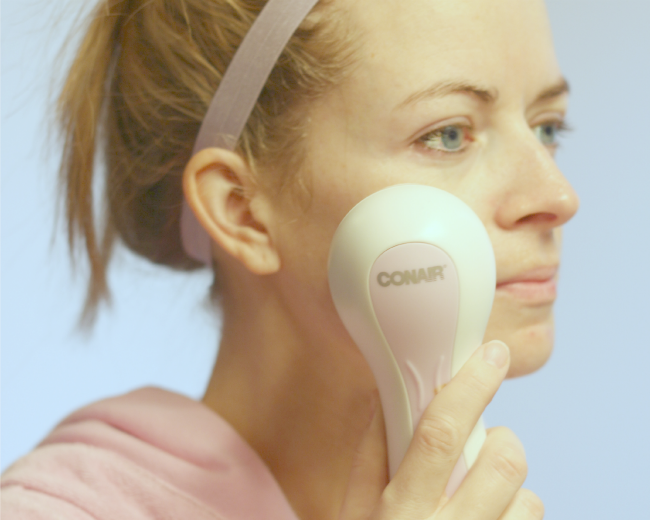 using the Conair True Glow Sonic Cleansing Brush is so easy. 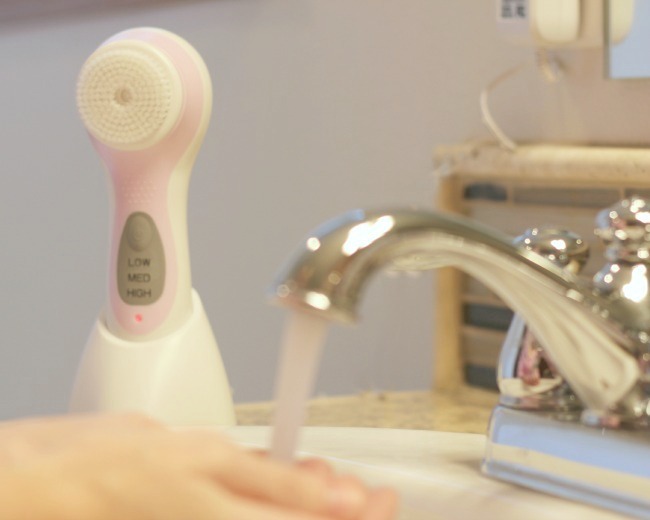 apply soap to your face and a small amount to the brush head, turn on the True Glow Sonic Cleansing Brush and clean. wait for the beeps to indicate how much time is left and get your face sparkling (60 seconds is all it takes!) and spa quality cleansing can be yours. while skin and makeup make you look good, your hair is what makes you look fantastic. healthy hair is the hottest trend this season, whether it is styled, straight, curled or pinned, if it is shining it is a winner. i'm a round brush girl through and through but i was pleasantly surprised by the Infinite Pro by Conair Hair Designer Dryer. 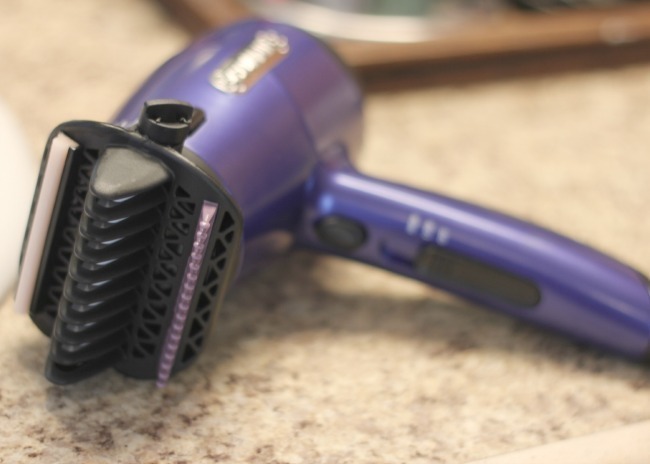 the 3-in-1 styling attachment helps eliminate the need for a brush during drying but my absolute favorite thing about this dryer is the Argan oil. there is an Argan oil conditioning strip that distributes the perfect amount of oil and helps reduce hair breakage by up to 75% and increasing shine by up to 50%. one use of this dryer and i was sold. my hair was silkier, smoother and dried so quickly. my old $300 hair dryer will be taking a backseat for a while. an added benefit to the Argan oil strip is it helps protect your hair while second styling. what is second styling? second styling is when you go to style your hair a second time in one day. perhaps you didn't have enough time in the morning to style your hair and instead let it air dry. 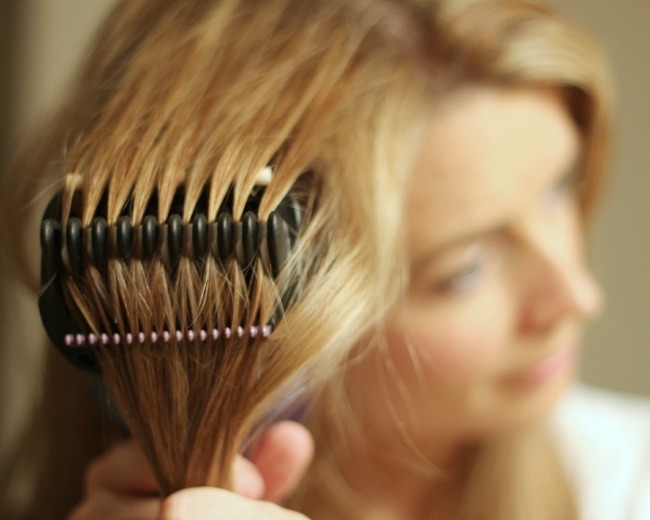 come 6 o'clock and you are getting ready for a dinner party, try using your Conair Hair Designer Dryer. the Argan oil strip will add extra shine to your locks and help protect it from your second round of heat styling in one day. another option would be to spray some root volumizer to your limp locks and give it a few minutes of blowdrying. finish with a blast of cold air to set the style and your hair is refreshed. glow and go in just minutes.